ALL OF OUR STAFF MEMBERS UNDERGO BACKGROUND CHECKS. Fun facts about me! I am huge Janet Jackson fan and have been since I was 6 years old. 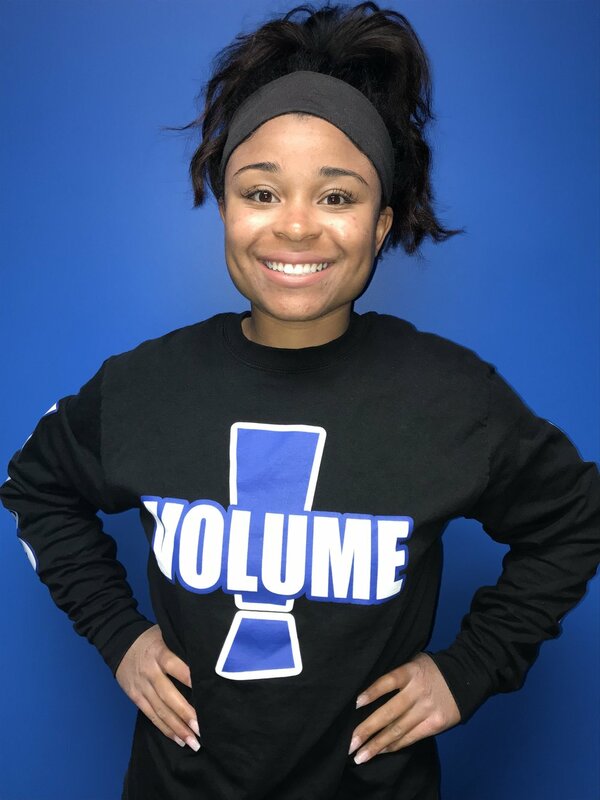 Miss Karsia is the owner of Volume Performance Center. With 20 plus years of experience, Karsia received most of her dance training in Kentucky and Tennessee. She is a former UDA Head Instructor, a verbal critique competition dance judge, a pound fitness pro, an NBA and NFL choreographer, and a former semi pro dancer. Her favorite style of dance is jazz and Lester Horton modern. karsia will release her first book, the amazingly awesome adventures of dancing dee this fall. Fun facts about me! I have 5 dogs and 2 cats. Miss Ashleigh is medical sales specialist. 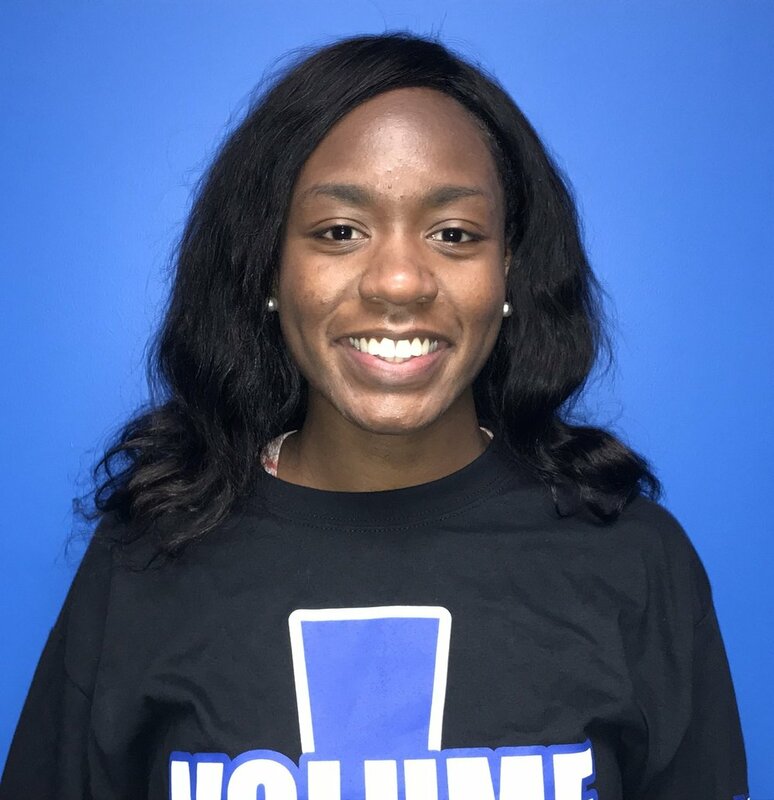 She graduated from St. Joseph High School and attended Ball State University where she received a Bachelor of Science in Cellular Biology with a Minor in Dance. with 15 years of formal training, She has studied ballet, jazz, tap, contemporary and lyrical. She was also captain of her high school dance team. Her favorite style of dance is contemporary. Miss Alexis makes a career as a personal trainer! She is currently pursuing a degree from Indiana University/Purdue University in General Studies. 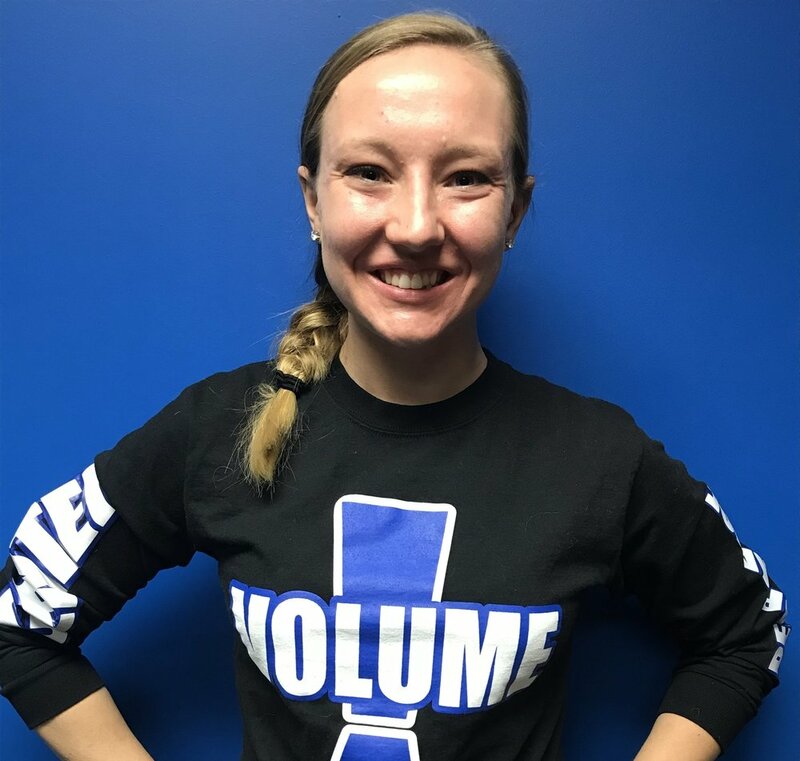 she has 15 years of formal dance training and her 3rd year at Volume. She studied ballet, tap, jazz, musical theatre, lyrical, and contemporary. She was Co Captain of the Cathedral Dance Team. Her favorite style of dance is jazz and her favorite dance movie is Chicago. Fun fact about me…I love kickboxing and have been at my workout studio for 1 year. Miss Olivia Makes a career as a nurse. this Indiana native graduated from Noblesville high school and attended ball state university. She was a member of the code red dance team and ball state’s OUTLet hip hop dance troupe. olivia has trained with various choreographers and attended pro dance. 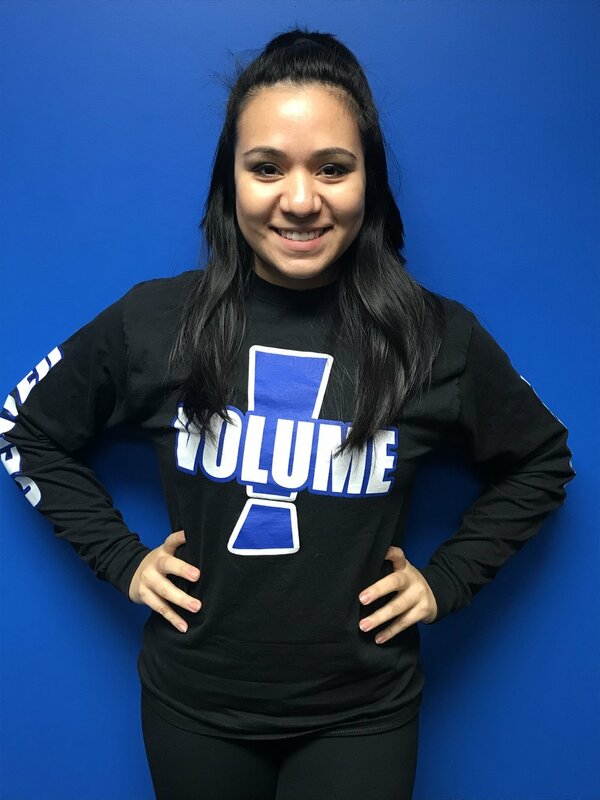 miss olivia is also a volume alumni and this is her 2nd year on staff. Fun fact about me....I love cats and dogs but I am allergic. Miss dEVIN Makes a career dance teacher at an elementary school. devin received bachelor of fine arts in dance from ball state university. devin was alSo a member of the outlet hip hop team. she has studied dance for 11 years. this is her first year on staff.